In support of #HarveyRelief, our clients Bon Ton and The Lawrence have created authentic concoctions that’ll have you sippin’ for a cause. Oh, and rest assured that 100% of the proceeds are going to fund relief efforts in Houston! How cool is that? Bon Ton features a sorrel infused cocktail, the Violent Margot, with Blackwell rum, grenadine, ginger, lime, and basil. Sounds #BontonAF to us. 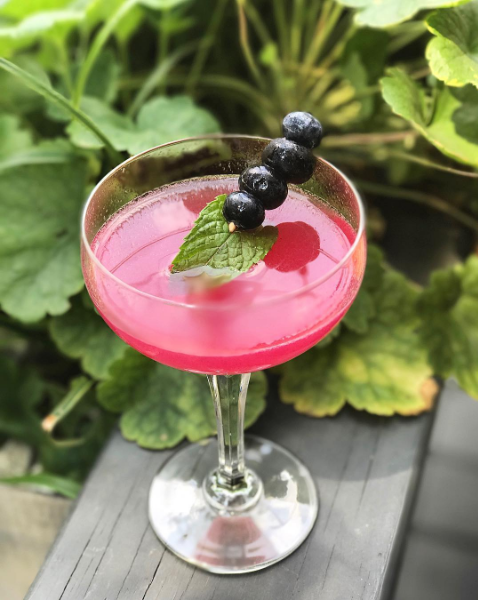 For our fruit-loving friends, The Lawrence features a handcrafted cocktail, Harvey’s Blue Bonnet (pictured), with Cana Brava Rum, maraschino, lime, and local blueberry absinthe. Intrigued yet? Sip up ATLiens, because these $10 bad boys are only on deck thru Sunday. See you there!